For all of Robert Moses State Park’s 875 acres, its most popular attraction is the five miles of white, fine, sandy beaches streching eastward from the Fire Island Inlet. With four bathhouses, a beach shop, it’s ideal for swimming and sunning. The park also features ballfields, saltwater fishing, surf fishing and surfing areas, along with a 18 hole pitch-putt golf course. A day-use boat basin accommodates 40 boats and offers a pump-out-station. 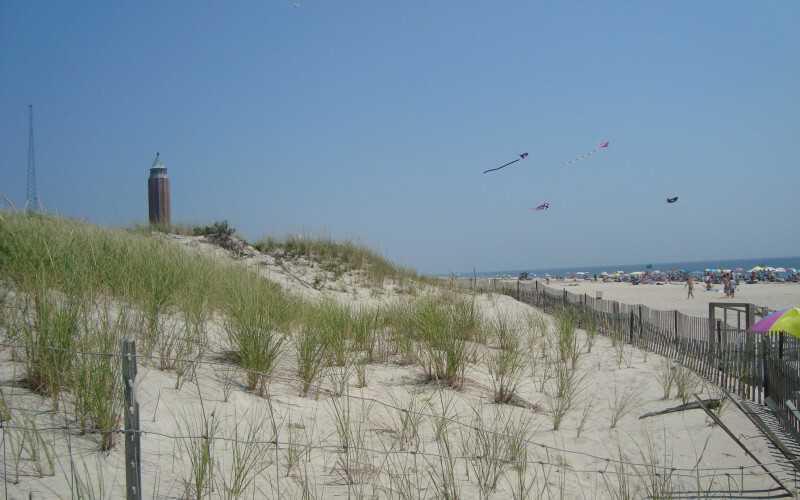 The east side of the park connects to the Fire Island National Seashore, and the nearby Fire Island Lighthouse, built in 1858. A long nature boardwalk from field 5 will take you to the lighthouse where you can climb the 182 steps to the top. Call for additional information.